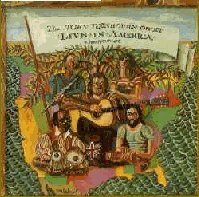 Originally a two-LP set, this 70-minute concert CD recorded on April 16, 1981 in San Francisco features the core of the band that appeared on The Enchanted Garden - Jacqui McShee on vocals, Tony Roberts on flute, krumhorn, and pipes, John Molineaux on dulcimer, violin, and mandolin, and Keshav Sathe playing the tabla. The repertory is rooted, of course, in English folk music, including "The Trees They Grow High," a beautiful a cappella number ("Ye Mariners All"), and "John Barleycorn Is Dead." Renbourn's playing is showcased throughout, most notably on "English Dance," a dazzling 3½-minute guitar solo; "Breton Dance," by contrast, is a vehicle for the entire band. McShee's crystalline vocals hold much of the spotlight, and the disc is worth owning just for her performance, her presence making this as valuable as any Pentangle release.